Additional Director General of Police (Railways) Sanjay Singhal will head the SIT, which has been mandated by Chief Minister Yogi Adityanath to submit a report within 10 working days. The Uttar Pradesh government late on Sunday constituted a five-member Special Investigation Team (SIT) to probe the recent deaths due to consumption of illicit liquor in the state. The Uttarakhand and Uttar Pradesh Police launched a joint operation and arrested two persons who had sold the spurious liquor to villagers of Ballupur in district Haridwar. The accused have been identified as Fakira and his son Sonu, both residents of Ballupur. The police are looking for three more persons who are said to be the main accused in the case. Sonu told police that they had bought 35 bottles of country-made liquor from one Sardar Hardev Singh from village Punden in Saharanpur (UP). He sold the liquor to different persons, including 20 bottles to Gajraj of Ballupur. Sonu said that the colour of the liquor was white. When he asked Hardev Singh about the colour, he said that while preparing, the liquor turned black so he used milk to make the colour light. 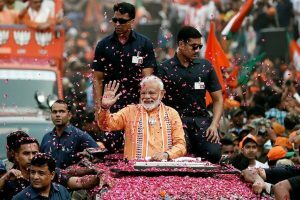 The death toll in the hooch tragedy in Uttar Pradesh and Uttarakhand has gone up to 97 while over 200 people have been arrested in a police crackdown, officials said on Sunday. 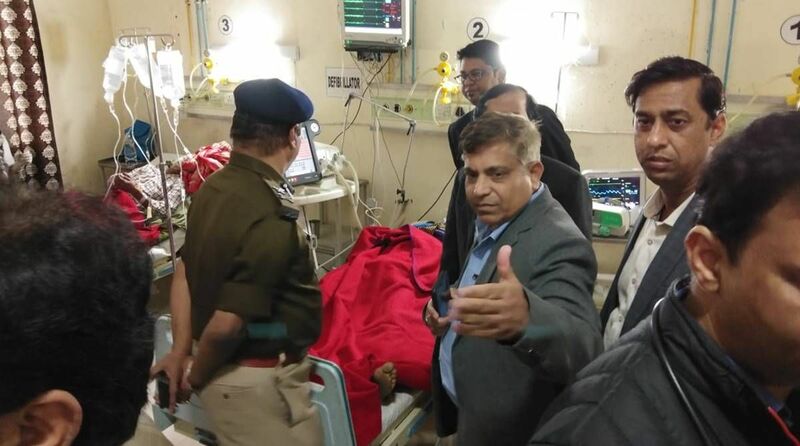 Fourteen people undergoing treatment at the Meerut Medical College were in a serious condition, informed Meerut Superintendent of Police (SP) Ranvijay Singh. Uttar Pradesh Chief Minister, Yogi Adityanath, has ordered a probe and announced an ex gratia of Rs 2 lakh to the next of kin of each of the deceased and Rs 50,000 to the survivors. The spurious liquor was consumed in Uttarakhand’s Haridwar on Friday. Uttarakhand Chief Minister has asked the district administration to take all necessary steps for the treatment of villagers, who fell ill after consuming spurious liquor.